You’re driving on a mountain road, alone in your car. On one side there is a sheer rock wall, on the other a steep drop off. Two pedestrians step out in front of you. You cannot stop in time. The only way to avoid them is to swerve and plunge over the drop off. What do you do? This unfortunate scenario is highly unlikely, and not something that we worry about in day-to-day life. It is, however, the type of scenario that designers of self-driving cars do need to worry about. Should the car take one life (you, the driver) to save two lives (the pedestrians)? What, in general, are the parameters for the car’s behavior when it foresees an avoidable accident? How much damage or risk to the self-driving car or its occupants should be incurred to minimize damage or risk to others? When an accident occurs, will the car’s designers become liable for the decisions they made or the contingencies they failed to anticipate? The safety of self-driving cars, meaning their ability to avoid accidents, is an emerging concern, and it will be complicated by issues such as these. On May 7, 2016, a semi-truck turned in front of a Tesla Model S that was under Autopilot control. The Autopilot apparently interpreted the truck’s trailer as an overhead sign and did not apply the brakes. The car hit the truck and the Tesla driver did not survive. Tesla’s response is that, while this was an unfortunate accident, looking at the big picture, Autopilot is safer than human drivers and will save lives. Perhaps this is true. Tesla compared their Autopilot fatality rate with the overall US fatality rate, so I do not consider their comparison to be definitive. Fatality rates vary greatly as you drill into the data. It would be interesting to compare the Autopilot fatality rate with the rate for the older, wealthier drivers who are more likely to buy a Tesla, as we know that teenage drivers are almost four times as likely to get into an accident than drivers aged 30 to 69. Further, because self-driving cars are relatively new, there are limitations in the data. Tesla’s accident rate is based on a single accident. Another fatality tomorrow would double the accident rate. Accidents are going to continue to occur, and will increasingly involve self-driving cars as the technology proliferates and automakers will face liability if the vehicle was, to whatever extent, in control. Some automakers are already assuming this liability. Volvo president Håkan Samuelsson announced recently that they will accept full liability for accidents that occur whenever “one of their vehicles is in autonomous mode” (Volvo, 2016). So, it apparently remains to be seen what Volvo’s assumption of liability actually means. It may just be an acknowledgement of reality—Volvo’s realization that they are going to be held liable regardless. Liability for autonomous vehicles does not represent new legal territory. According to the University of Washington’s Technology Law and Policy Clinic, “Product liability theories are highly developed, given the advance of technology in and out of cars for well over a century, and are capable of covering autonomous vehicles”(Harris, 2015). Automotive safety technology is evolving, and today’s self-driving technologies are an evolutionary step from existing technologies such as anti-lock brakes, cruise control, blind spot monitoring, and lane keeping assistance. Liability law has kept in step with these improvements and should continue to remain in step as technologies continue to evolve. 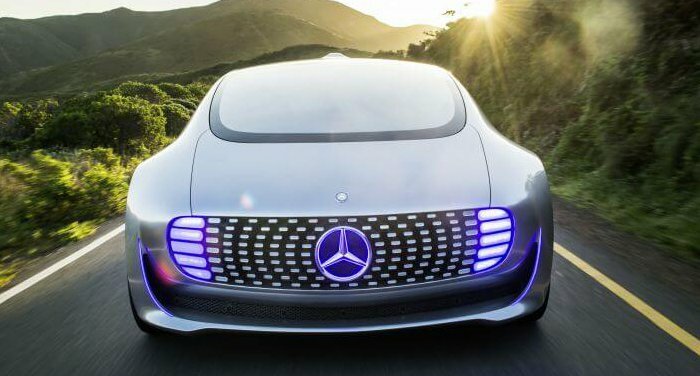 Within this framework the automaker may assume more liability, and the customer will still be liable for driving errors, which now include misuse of autonomous driving systems. One of the changes that I am seeing is an increasing need for human factors expertise in the courtroom to deal with the issues that will arise, regarding likelihood and effects of driver distraction and usability of automotive technology. These issues will loom large in assessing the liability associated with the human and the machine (the company that developed the machine, actually) in real-world situations. Self-driving cars, which in some respects can be considered similar to robots as they become increasingly autonomous, may have to deal with a situation where there is no way to avoid injuring a human being, and must then decide how to minimize injury, complicating application of the First Law when a human can share the robot’s fate. This article began with such an example—do you drive your car off a cliff to avoid hitting a pedestrian? People would prefer to minimize casualties, and would hypothetically rather have the car make the choice to swerve and harm one driver to avoid hitting 10 pedestrians. But the same people would not want to buy and drive such a vehicle. They wouldn’t want their car to not have their safety as the prime directive…. 76% of respondents thought it more moral for a self-driving car to sacrifice one passenger over 10 pedestrians. But if they were to ride in such a car, the percentage dropped by a third. Most of the people also opposed any kind of government regulation over such vehicles, afraid that the government would essentially be choosing who lives and dies in various situations. Many drivers would probably swerve one way or the other. But the TedEd video makes a key distinction between this action and whatever an autonomous car would do: if the driver is in control of the vehicle, that swerve is a reaction that did not incorporate an in-depth analysis of the situation; it was an instant decision that unfortunately put others in danger. But if a self-driving car swerved, that swerve was the result of deliberate decision made while the car’s software was developed and presumably based on careful consideration. If the car hits the SUV or motorcyclist, any injuries caused would be in a sense premeditated. The victims did nothing wrong, but the car essentially targeted them to protect others as a result of a decision made by a large, cash-rich corporation. What are the liability issues in this situation? Or, if the automaker sidesteps these issues does not build in accident avoidance algorithms, could they be considered liable for failing to build a safe product? Other issues can arise. What if the car is programmed to prefer hitting a vehicle it deems at-fault (for example, if a vehicle pulls out in front of you, the car hits it rather than swerving into an “innocent” vehicle)? Is the car, as the TedEd video puts it, dealing out “street justice” – potentially enforcing the death penalty for a traffic infraction? I don’t have the answer to these questions. Ethicists, software designers, regulators, and legal experts will need to grapple with them. But I do foresee these issues coming into play as companies develop algorithms for self-driving cars and also in the courtroom. Mature self-driving technology will offer immense benefits but, like many technologies, it can sometimes fail, it can be used improperly, and, even if properly and ethically designed, can still do harm.